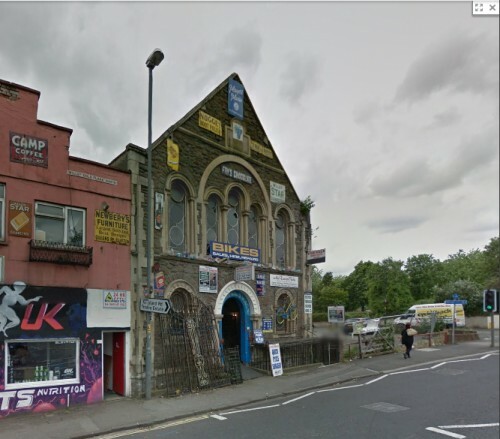 The Bristol Civic Society has started an on-line petition to save Ebenezer Chapel on Midland Road from demolition, after original fittings were removed from the building and an application was made to Bristol CC to demolish it.. The chapel was built in 1849, the first Primitive Methodist chapel built in Bristol. Notwithstanding its beauty for local residents and passers-by, it is the last-remaining architectural evidence of the education and spiritual support given to the first residents in the area, who settled in the early nineteenth century. An application to get the building listed by English Heritage was turned down and because it is not listed and is outside of a conservation area, Bristol City Council says it is powerless to intervene and save this beautiful building. It is, however, is a very strong candidate for the Local List and, if it were, the Council would have to take this into account when considering any application to demolish the building, or in connection with any associated planning application.